“Someday,” that was the day that Susan and Jimmy Kirk thought they would get the opportunity to open an ice cream shop of their own. That day came when the perfect location for the first Scoops became available in downtown Madison, GA. Madison is a picture perfect rural community once named America’s best small town, located about 60 miles east of Atlanta. Along the tree-lined streets, Madison had its share of history, culture, and recreation…but no ice cream shop. Hence, “Someday.” Ms. Susan’s vision of an ice cream shop was one like none other. From the selection of ice creams she and Mr. Jimmy created themselves to the homemade fudge, you will only ever find the “best of the best.” And she should know, as a buyer for the likes of WH Smith and Macy’s Department Store Ms. Susan knows exactly where to go to find her fantastic confections. With more than 15 years in its original location, the Madison store was just the beginning. In 2005, The Kirk’s secured another perfect location in downtown Covington, GA. Their second store has proven as successful as the first and many people have shared her conviction in the success of Scoops. 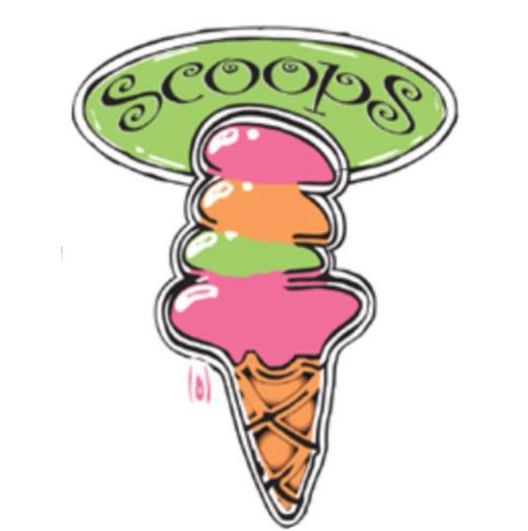 There are currently four Scoops locations open in Georgia, with that number rising. With franchise opportunities still available, visit our franchise page for more information.